from 0.5EV to -1.0EV, raising the precision and speed of autofocus in low-light environments. detection autofocus can now be used. and with high precision as a result of improvement in phase detection autofocus. Enhanced Bluetooth connectivity via “FUJIFILM Camera Remote” app. 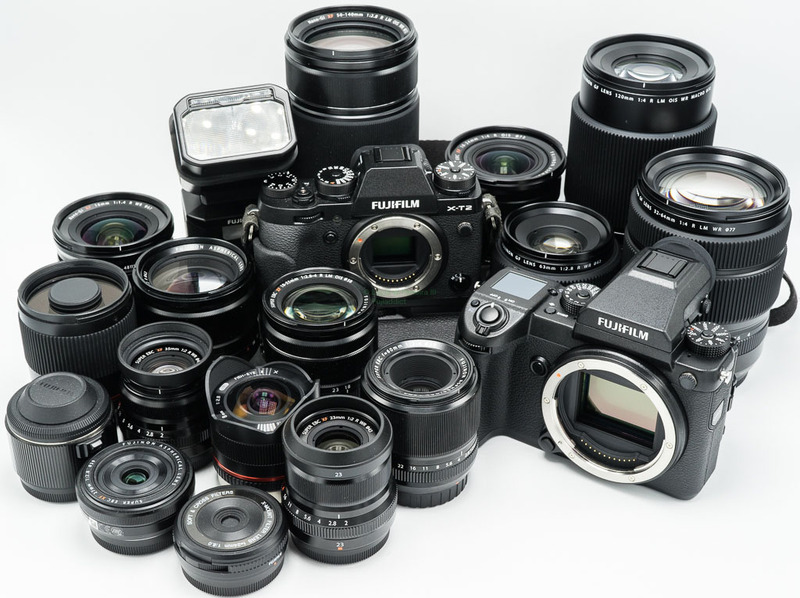 The upgrade allows users to utilize the following functions with the latest “FUJIFILM Camera Remote” app. 4: It supports Bluetooth wireless remote control camera shutter release** for cameras that offer Bluetooth capability. After connecting a camera to a computer via USB cable, the “FUJIFILM X RAW STUDIO” enables users to convert RAW files with X-Processor Pro. Fast batch processing will also be available. The “FUJIFILM X RAW STUDIO” can be downloaded from the FUJIFILM website for free. Enhanced Bluetooth connectivity via the FUJIFILM Camera Remote app. 2: Update the firmware** of compatible cameras that offer Bluetooth capability via smartphone or tablet devices. 3: It supports Bluetooth wireless remote control camera shutter release** for cameras that offer Bluetooth capability. This entry was posted in Firmware, Fuji firmware updates, Fuji X-Pro2, Fuji X-T2, Fujifilm GFX, Fujifilm GFX 50S, Fujifilm X-E3 and tagged Fuji 250mm, Fuji GFX, Fuji GFX 50S, Fuji GFX50S, Fuji Rumors, Fuji X-E3, Fuji X-H1, Fuji X-T2, Fuji XE3, Fuji XH1, Fuji XPro2, Fuji XT2, Fujifilm, Fujifilm 250mm, Fujifilm GFX50S, Fujifilm Rumors, Fujifilm X-Pro2, Fujifilm XE3, Fujifilm XH1, Fujifilm XPro2, Fujifilm XT2, FujifilmRumors, Fujirumors, GFX, GFX 50S, GFX50S, Medium Format, Super Full Frame. Bookmark the permalink. Trackbacks are closed, but you can post a comment.